Historias escondidas en los huesos. 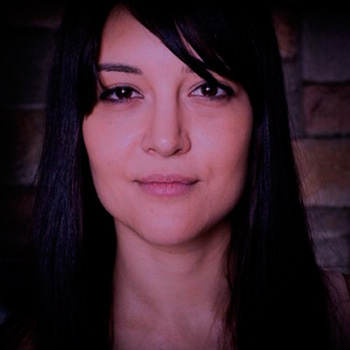 After graduating with a degree in History from the University of Valencia, Spain in 2003, Ruth Blasco attended Rovira i Virgili University in Tarragona, Spain where she obtained an Advanced Studies Certificate in Quaternary and Prehistory (2006), a master’s degree in Archaeology of Quaternary and Human Evolution (2006), and a PhD (2011). She was awarded a Beautriu de Pinós-A postdoctoral fellowship from the Generalitat de Catalunya and co-financed by the European Union through Marie Curie Actions, FP7, at the Gibraltar Museum (Gibraltar) in 2013. In the second stage of her postdoctoral fellowship, she moved to the Autonomous University of Barcelona, Spain in January 2015. Currently she has a position as researcher in the National Research Centre on Human Evolution (CENIEH), Burgos, Spain. Her interest is in the study of the human diet and the subsistence strategies in the Middle Pleistocene and the early Late Pleistocene by using the taphonomic discipline. Her research was involved in several funded national and international projects (CGL2006-13532-C03-01, CGL2009-12703-C03-02, HF2007-0122, 2009 SGR 188, CGL-BOS-2012-34717) and is currently being developed in the MINECO project: CGL2015-68604-P, the SéNeCa Foundation project: 19434/PI/14 and the Generalitat de Catalunya-AGAUR project: 2014/100573. I am also part of the AGAUR research group 2014-SGR-900 and the collaborative regional project “Entre plaines et montagnes: espaces de subsistance et expressions culturelles au Paléolithique moyen dans le Massif central (Auvergne-Ardèche)”, which is promoted by the French Ministry of Culture. Likewise, she is the researcher in-charge of several experimental projects on large carnivores, with special interest in brown bears and small carnivores. She is part of several national and international archaeological projects, as Bolomor Cave (Valencia, Spain), Qesem Cave (Israel), Gorham’s and Vanguard Caves (Gibraltar), Toll and Teixoneres Caves (Barcelona, Spain), and Llenes and Tritons Caves (Lleida, Spain), and she is currently the director and the technical co-director of some of them: Teixoneres Cave since 2008, Vanguard Cave since 2012, Tritons Cave since 2015, and Bolomor Cave since 2016. She is the author/co-author of 54 publications with impact factor (IF), including articles found in major scientific journals of general science, such as PNAS, Scientific Reports, and PLoS ONE and more specific fields of human evolution, such as Quaternary Science Reviews, Journal of Human Evolution, Journal of Archaeological Science, American Journal of Physical Anthropology, Journal of Anthropological Archaeology, Quaternary International, etc., with an H-index=23 (i10-index=39). She has been the co-editor of 3 volumes in Quaternary International and Journal of Taphonomy, the co-author of 14 book chapters and 17 papers in journal without IF. 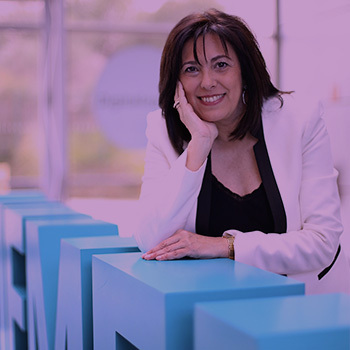 She has also contributed at international conferences in Spain (2009, 2011, 2014, 2015), France (2010, 2012), China (2010), Portugal (2011, 2015), Switzerland (2011), Gibraltar (2012, 2014, 2015), Austria (2013), Israel (2013), Italy (2015, 2016), Germany (2013, 2015), Jersey (2016) and Orlando (2016). She is a referee for 8 journals with impact factor (40 reviewed papers) and 8 without impact factor. She has also been a referee for book chapters for the Springer editorial and for international grant proposals for the National Geographic Society, the Israel Science Foundation and IkerBasque Research Fellow. 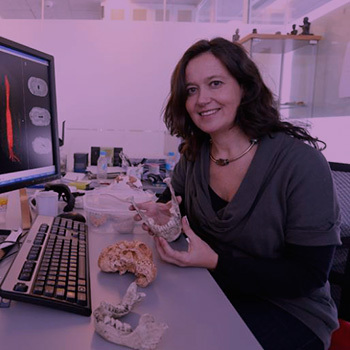 She is an editorial board member of Scientific Reports –from Nature Publishing Group (Impact factor= 5.228), a scientific committee member of the Postgraduate Zooarchaeology Forum (PZAF). The social and media impact of her research has been discussed on several news blogs, including Nature News, John Hawks Weblog, Discovery Channel News, National Geographic Daily News, BBC News, The Guardian, The Wall Street Journal, and NewScientifics, among others.